The software has the tools I need to service all my customers needs. The software is easy to navigate and very user friendly. It helps with all lending originating. It offers core solutions for all bank lending needs. I dislike nothing about software. It's hard to dislike like something this cost efficient. A current problem with lending is the constant change in regulation. This software efficiently services all lending needs while keeping up with regulatory changes. "Overall efficient and easy to use. " FIS has remained stable over the last three years that I've used it. It remains fairly customizable for our needs as a financial institution. The elements sometimes do not stay within the visible viewing area of a window. This is a problem across all web browsers that I have tested. Associates sometimes struggle to find elements because it requires them to school horizontally. I haven't found a solution to this yet. This allows us to quickly process applications for loan solutions at the bank. Ability to upload documents to loan profile with timestamp. Can share the loan book across teams. Secure log on so information is safe. Can leverage this system to build custom reporting. 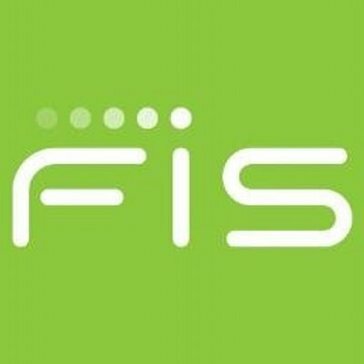 "FIS is one of the best FinTech companies on the market." Fidelity National Information Service is one of the best FinTech companies on the market. There isn't anything that I do not like about them. We use their data to make responsible decisions as it relates to your customers and website integrations. The FIS application is not very user friendly. The available reporting function leaves a lot to be desired, and the system is prone to potentially crippling issues if any access is not granted properly. The primary issue that I have with the FIS lending application is the reporting function. Generating and maintaining reports in FIS is extremely difficult and not intuitive at all. Honestly we have not realized any real benefits due to the issues we have with the application. It easily can pull the clients info from other FIS applications and plus them into the lending when creating a loan for someone. Sometimes not all the info or transferred or transcribed correctly so you still have to go through and double check for accuracy. Errors in data provided, slow/no responses from customer teams, inability to move quickly or change. It's very expensive and minimums on contracts are prohibitive. Software is inflexible. Using them as a processor. Interface is nice, simple to navigate. Layout is easy to maneuver. It glitches A LOT. It freezes, it shuts down while you're in the middle of a task, and sometimes the information you are looking for will not be there. This software is buggy. Support is usually very timely and knowledgeable, though. It helps us track various loan related tasks and transactions, and stores customer information. "Great company for your mortgage services"
Easy to use and very informative, unlike other services. It does take a while to learn, but once you do it's very easy. Keeping track of all of our members' payments. The platform is user friendly and easy to navigate. * We monitor all Lending reviews to prevent fraudulent reviews and keep review quality high. We do not post reviews by company employees or direct competitors. Validated reviews require the user to submit a screenshot of the product containing their user ID, in order to verify a user is an actual user of the product. Hi there! Are you looking to implement a solution like Lending?